Legendary cook Elizabeth David is the woman who changed the face of British cooking. She introduced a dreary post-war Britain to the sun-drenched culinary delights of the Mediterranean; to foods like olive oil, pasta, and garlic, to fresh herbs like basil and to vegetables like zucchini and eggplant—foods that have become the staples of our diets today. Her recipes brought color and life into kitchens everywhere, yet her books never contained any photographs. Now, published for the first time, comes this full color, beautifully illustrated collection of her most inspiring and delicious dishes. Never before have her recipes been photographed to showcase the richness and variety of the food that she was so passionate about. 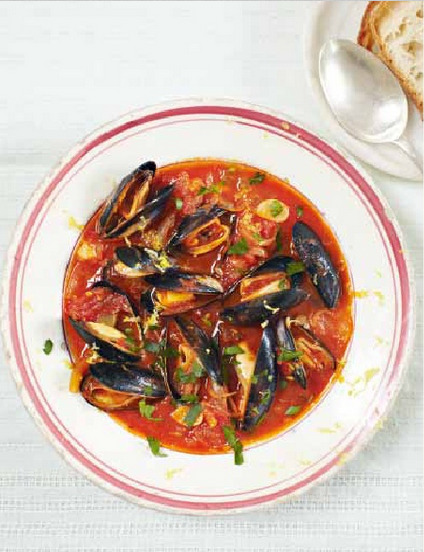 Published to celebrate the 60th anniversary of Elizabeth's first book, her instant classic Mediterranean Food, At Elizabeth David's Table has twelve chapters guiding the reader from tasty soups and starters, through to meat, fish and desserts. Sections on successful bread making, as well as more extravagant dishes, ensure that this will become the cooking bible that readers will turn to, time and time again. Interspersed throughout the book are some of Elizabeth's short essays—from how to cook ‘fast and fresh' using store-bought and pantry ingredients, to evocative portraits of French and Italian markets. 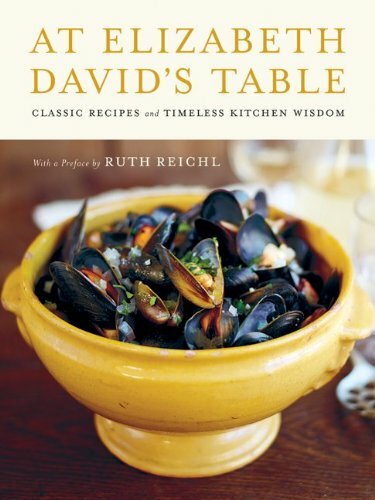 With an introduction by Ruth Reichl, the famed editor of the modern classic The Gourmet Cookbook and the irreplaceable Gourmet magazine, and a preface by Jill Norman, literary trustee of Elizabeth David's estate, At Elizabeth David's Table is the must-have cookbook for home cooks, gourmets, and chefs alike.